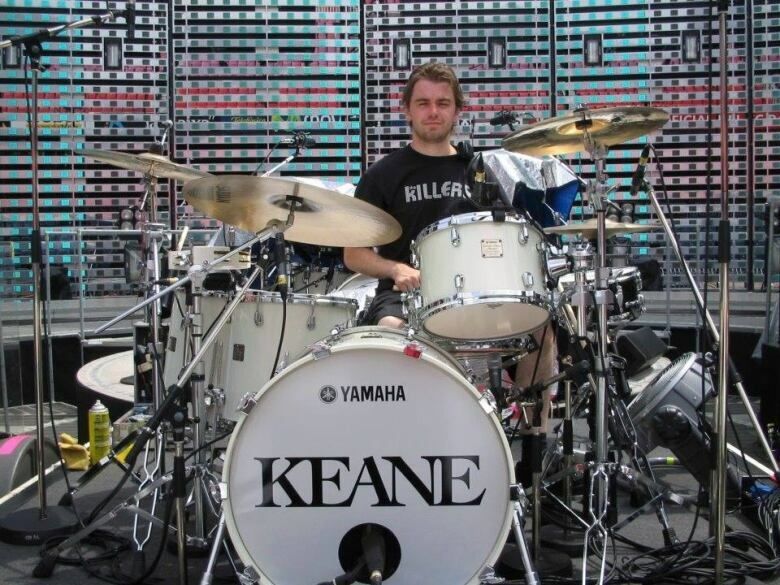 Drum technician Scott Johnson died on stage when the roof came "crashing down quickly and without warning," a coroner's chief counsel testifies at the inquest into the stage collapse before a Radiohead concert in Toronto nearly seven years ago. Around 4 p.m. on June 16, 2012, technician Scott Johnson was tuning drums on a stage in Toronto's Downsview Park in preparation for a Radiohead concert when the elevated roof came "crashing down quickly and without warning," a coroner's chief counsel said Monday. Now, nearly seven years later, after two trials and 13 charges laid but later stayed, family and friends of Johnson are hoping a coroner's inquest into his death may provide some measure of resolution. 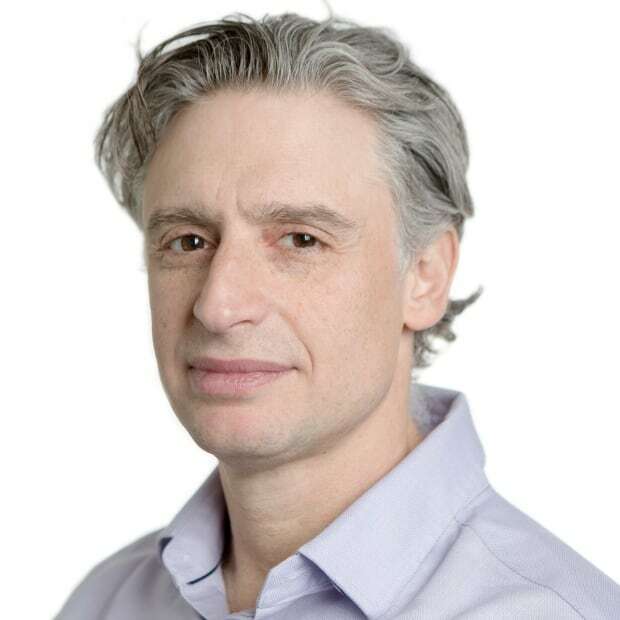 "Our view is that Scott should not have died, did not have to die, that his death was preventable," said Prabhu Rajan, chief counsel for coroner David Cameron. Cameron, coroner for the inquest, stressed that the purpose of the proceedings was not to lay blame or hold people accountable but instead to prevent further deaths. The first day heard from several witnesses, including Ken Johnson, Scott's father, who flew in from the U.K to attend the inquest, which is scheduled for several weeks. Philip Selway, the drummer for Radiohead, who has been vocal about his frustration over what he considers a failure from Canada's justice system to hold anyone accountable for Johnson's death, also testified. Rajan gave a brief overview of the accident. He told the inquest how Johnson was crushed to death when the elevated roof, weighing in excess of 70,000 pounds, "literally fell on top of him" about an hour before Radiohead was set to perform in front of 40,000 fans. While many workers on stage were able to jump out of the way, "Scott could not," Rajan said. "He tried to run for safety, but he didn't have enough time." 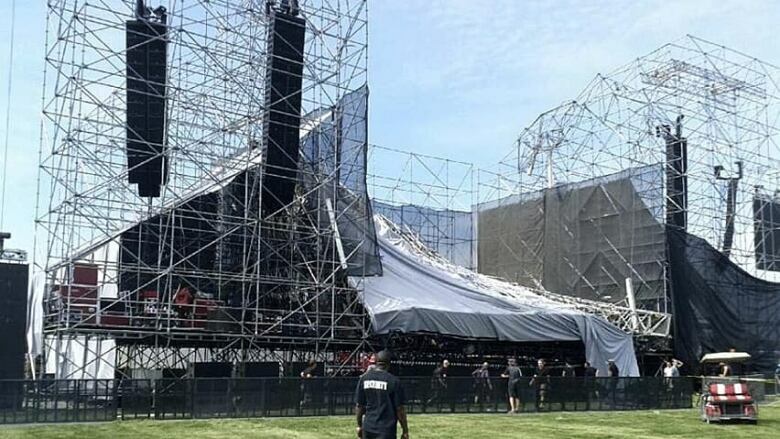 The stage set up for a Radiohead concert at Downsview Park collapsed in 2012. It would take many hours to ultimately remove his body, Rajan said. While there was no intent to build a "deficient and dangerous" structure, there were a number of "likely deficiencies" in the building of the stage, he said. For example, the concert took place on federally owned land, meaning the Ontario building code did not apply. No building permit was sought or obtained from the City of Toronto for building the stage or roof, he said. "Consequently, there was no third-party oversight, or review of the structure," Rajan said. As well, the seven pages of plans that were to be used to build the stage were not all approved by the same engineer. Some plans had been approved 20 years earlier, and some critical components needed for the stage were not used for its construction, he said. Saeed Khoorsand, a Ministry of Labour engineer who helped investigate the collapse, testified that the pickup trusses bearing the weight of the roof grid — which itself held tens of thousands of kilograms in lighting and other equipment — were "the weakest link in the stage that caused the whole roof system to collapse." Khoorsand also pointed to some discrepancies between the plans and the materials used in building the outdoor stage. The trusses at the site weren't as thick as they should have been according to the drawings, while some beams were larger. Wayne Ferguson, a piano tuner technician, told the inquest that shortly before the accident, when a light breeze hit a back curtain of the stage, "I could hear the stage actually creak." Ferguson said he had been tuning the piano very close to Johnson, who had been "kidding around with me" and just "mimicking me, what I do on the piano." Ferguson has been asked to leave the stage when the other technicians, including Johnson, were set to do a sound check. Minutes later, the roof came crashing down. "We heard a huge crack and within, like, two seconds the whole roof collapsed," Ferguson said. A paramedic who was one of the first at the scene testified he found Johnson trapped under a big TV monitor. "There was nothing we could do for him, especially because we couldn't extricate him," Stephan Krasl told the inquest. Thirteen charges were laid following a year-long investigation by the Ontario Ministry of Labour. There were two trials, but all charges were stayed, because the matter had taken too long to go through the courts. "I'm outraged by the lack of justice, the lack of accountability and what I can only perceive to be a complete failure of the justice system," Philip Selway, the drummer for Radiohead, testified. He described Scott not only as a vital part of the band, but "my good friend." He said he was frustrated and angry that after an investigation and a trial that was never completed, justice has not been done. 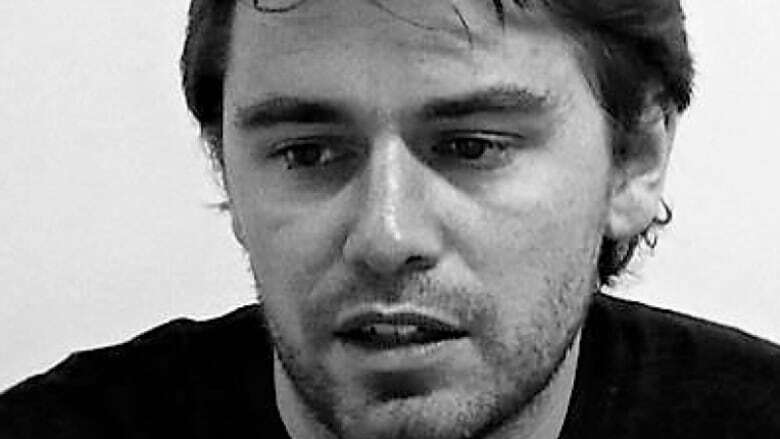 "Radiohead feels this is a travesty and insult to the memory of Scott." Scott's father, Kenneth Johnson, flew in from England to attend each day of the inquest. He was the first witness, breaking down at times when describing his son. He focused not on the accident, but on Scott, who he said had an "overriding belief in fairness." Music was part of his son's life from an early age, he said. Johnson became emotional recalling the time Scott's mother was dealing with breast cancer and their son, with his long hair, would cut his off if she lost hers through chemo treatment. "[His mother] thought things couldn't get worse," Johnson said in tears. 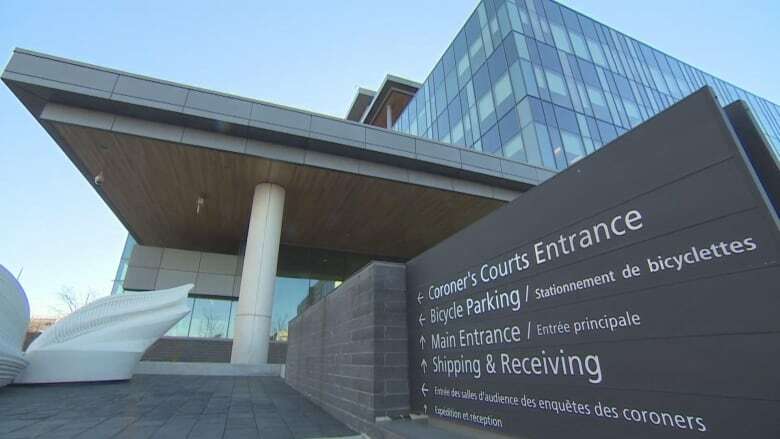 The inquest, which is expected to last three weeks and hear from roughly 25 witnesses, will examine the circumstances surrounding Johnson's death, but will not assign blame. Since his son's death, Kenneth Johnson said, donations that have poured in have gone to schools to buy 20 electronic drum kits. "Hundreds of children over the last five years who've learned to play drums," he said.